June 10, 2014 June 10, 2014 by daviddsouza1802 Comments on Do snails like rainbows? 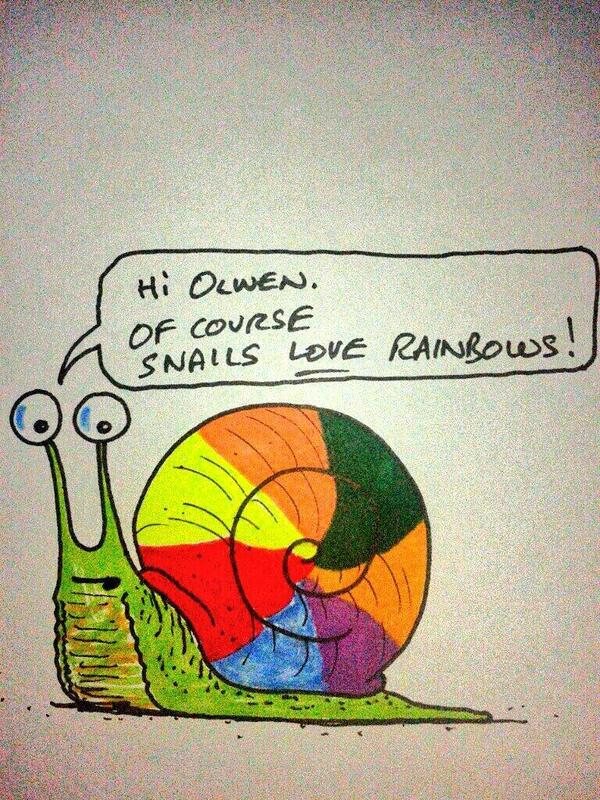 This morning my daughter (who is 4) asked me if snails liked rainbows. I took to Twitter to see if anyone knew for certain and I got the following replies. Swiftly followed by…. Katie: Now I feel like I crushed the dream!!! Far too practical for my own good. I’m sure they have rainbows in their minds! Robert Ordever: it’s impossible not to like rainbows. Even as a snail. Sue Gerrard: But they love the damp weather that causes rainbows. Sometimes answering the little questions can be as fun as answering the big ones. It’s all about perspective. For anybody who is curious – I’ll show my daughter the picture and tell her they love the reflections.